Start waking up to your favorite Spotify tunes and set the mood you want to wake up in. We all wake up differently. Yet, we all use the same hideous alarm clock ringtones. Start waking up to your favorite Spotify tunes and decide your perfect morning mood. No need to keep your Mac on all night long. You can safely put your Mac to sleep*, Wakefy will power it on when the alarm has to go off. Start your mornings with good vibes and an already ready-to-use computer! *Want to completely turn your Mac off? Wakefy can handle that too! Just make sure your Mac is connected to power and password-protected login is disabled. Why? You know, having your phone within arm's reach is not going to help you getting up at the right time when you can just hit that snooze button without even opening an eye. 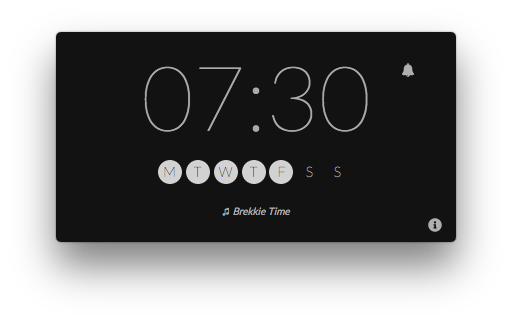 Force yourself to actually get out of your bed and walk to your Mac to turn off the alarm. No more sleeping in because you were so sleepy you forgot to set alarms in your smartphone. Keep working until late on your Mac as you usually do. 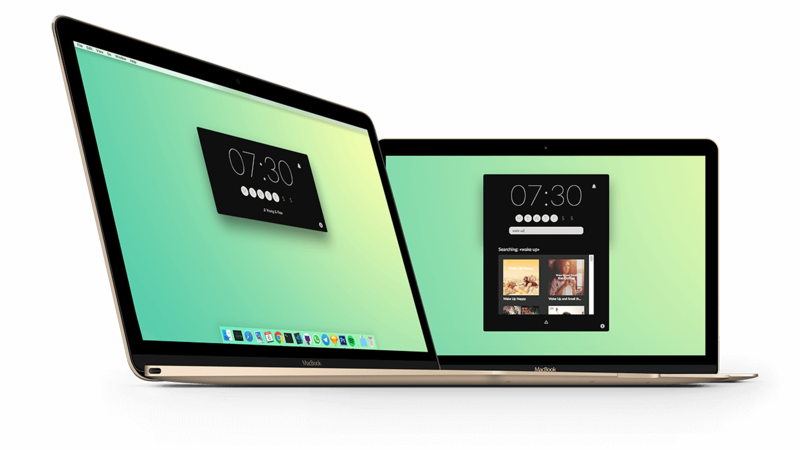 Your Mac is most likely the last device you use before you start feeling sleepy, so just keep working as always and let Wakefy handle the alarm thing for you. Are you on a budget? Thatâ€™s the best part â€“ Wakefy is free, forever! 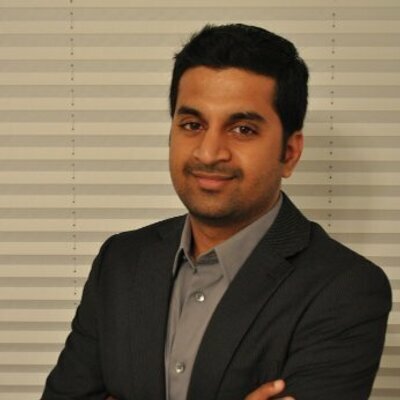 Wakefy is fully designed, developed and mantained by a single indie developer named Javi Ramirez (@rameerez). Servers cost money I'm currently paying myself. Want to collaborate and help covering costs? Chip in whatever amount you can. 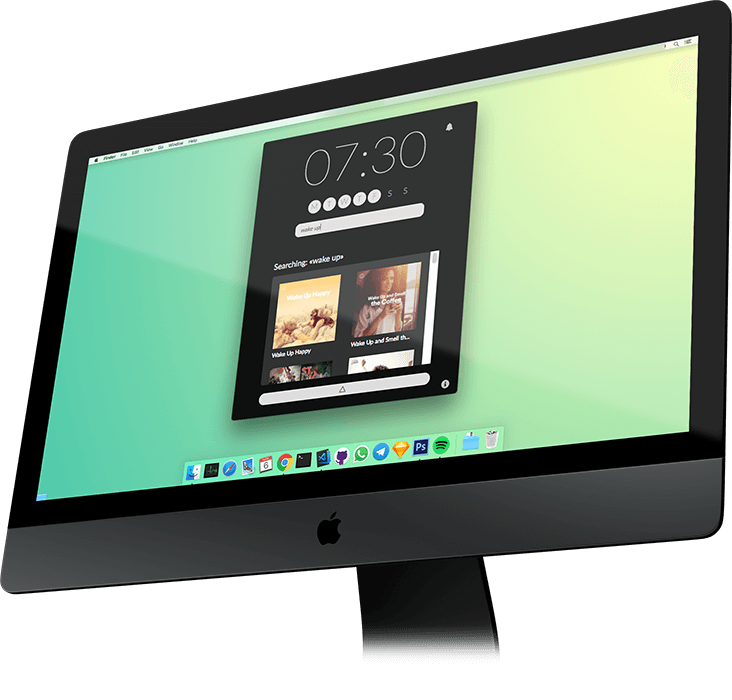 Mac apps like Wakefy are usually priced between $5 and $15 USD. Don't want to collaborate? Wakefy is donation-based, but you can still download it without collaborating.